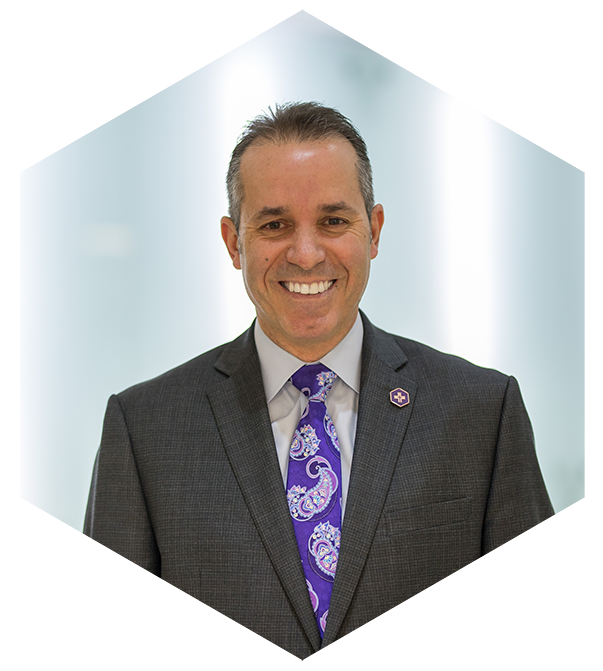 Bill Marra is the Vice President of Hôtel-Dieu Grace Healthcare for External Affairs & Executive Director of the Changing Lives Together Foundation. Bill is responsible for the oversight of Communications, Philanthropy/Events & Partnerships, Ethics, Security & Parking as well as Volunteer Services, Spiritual Care and Student Placement. from The Schulich School of Business at York University. Bill has been an active and avid volunteer in our community since 1986 with numerous community based agencies and non-profit organizations and he has twice participated in Christian sponsored International Missionary trips. Also, in 2004, he was appointed to the Ontario Civilian Commission on Police Services where he served for four years. Since 1994, Bill has been elected to Windsor City Council for a total of six terms. During his tenure on City Council, he has served on over two dozen committees, boards and commissions. Bill’s service to community has been acknowledged over the past several years. In 2011 Bill was recognized for his community work by the Autism-Ontario Windsor Essex Chapter and he was awarded The Community Volunteer of the Year Award. Also in 2011, the Board of Directors of the Windsor Essex Community Health Centre recognized Bill for his work with youth and he was awarded The Spirit of Ken Jaggs Vocational Recognition Award. In 2012 Bill was awarded the Queen’s Jubilee Award for outstanding community service benefiting Canadians. In 2013 Bill was presented with a Golden Key Honorary Membership by the University of Windsor Chapter recognizing his long standing community service work reflecting the Society’s three pillars – Academics, Leadership and Service. Most recently, Bill was awarded the 2016 Canadian Italian Business Professional Association Community Service Award. Bill resides with his wife Rita along with their three children, Joe-Anthony, Bianca & Dante along with their pet dogs Buddy & Charlie. Mandate letter for Bill Marra, Vice President External Affairs & Executive Director Changing Lives Together Foundation. Executive contract for Bill Marra, Vice President External Affairs & Executive Director Changing Lives Together Foundation.